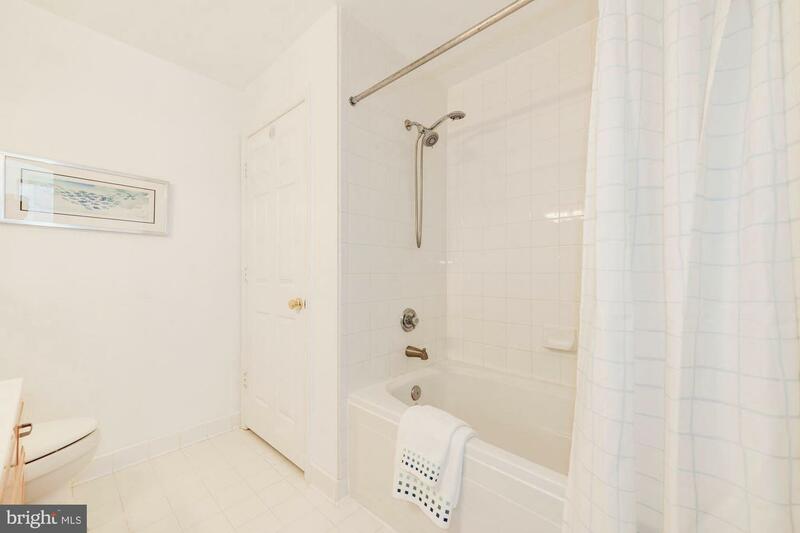 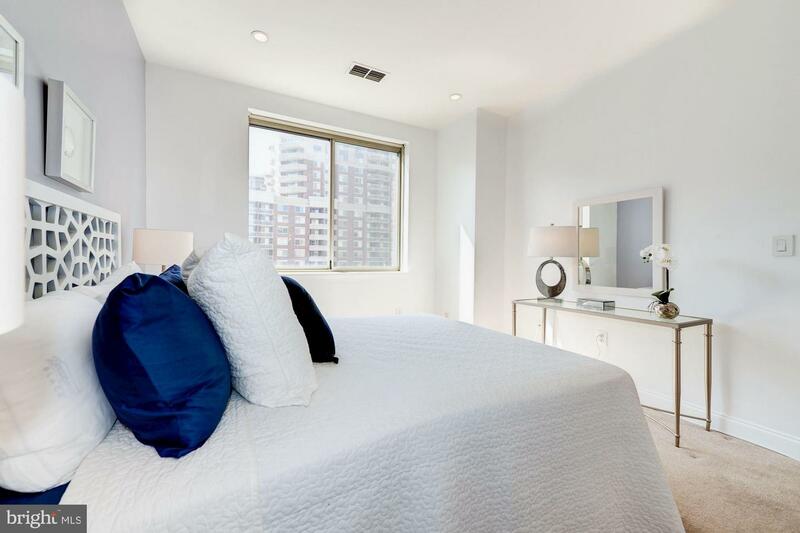 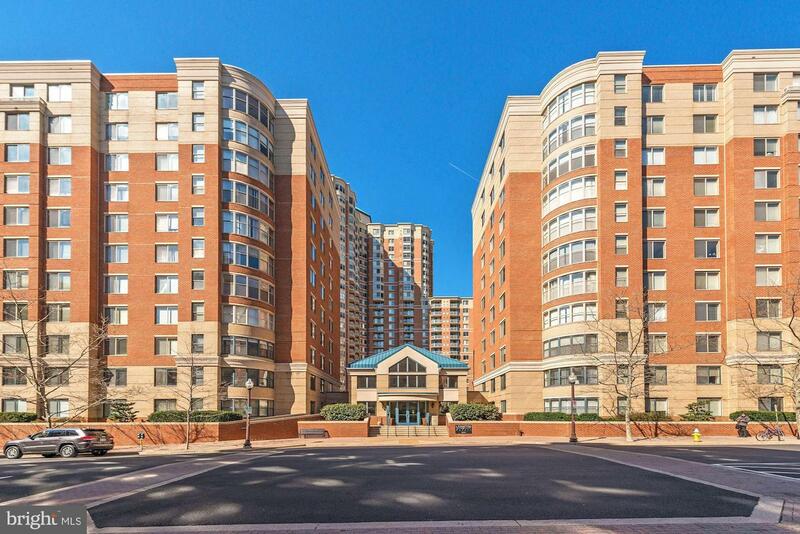 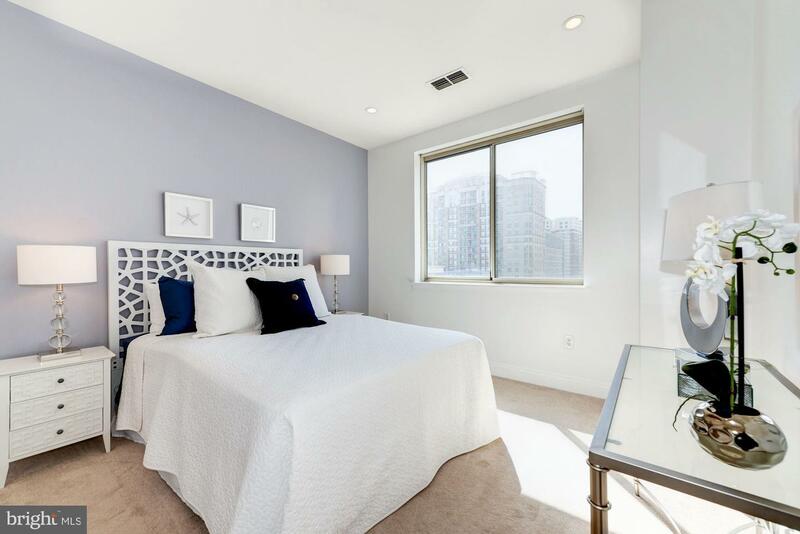 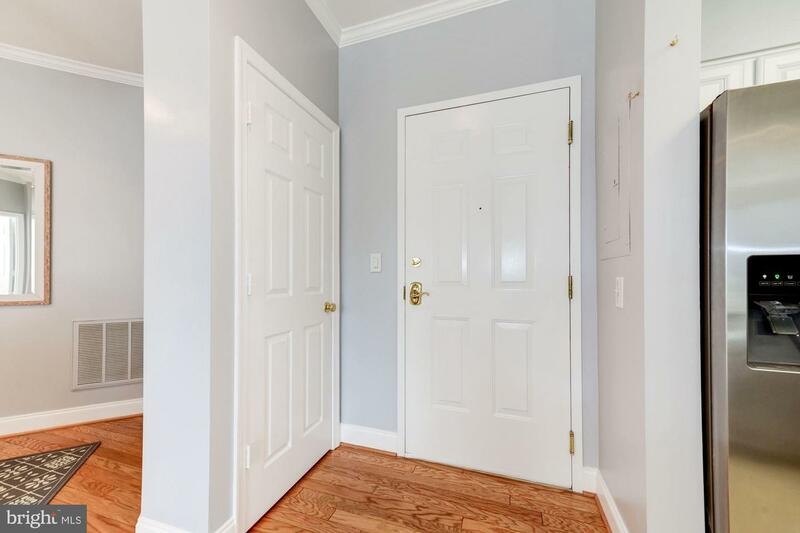 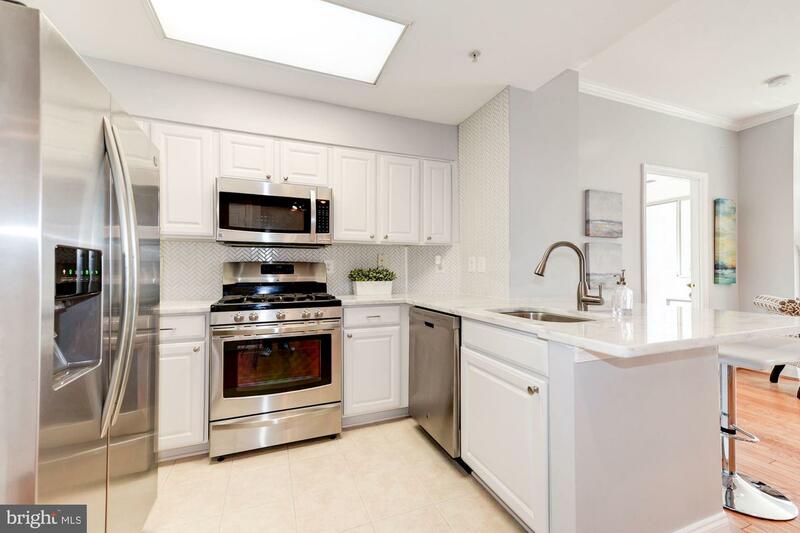 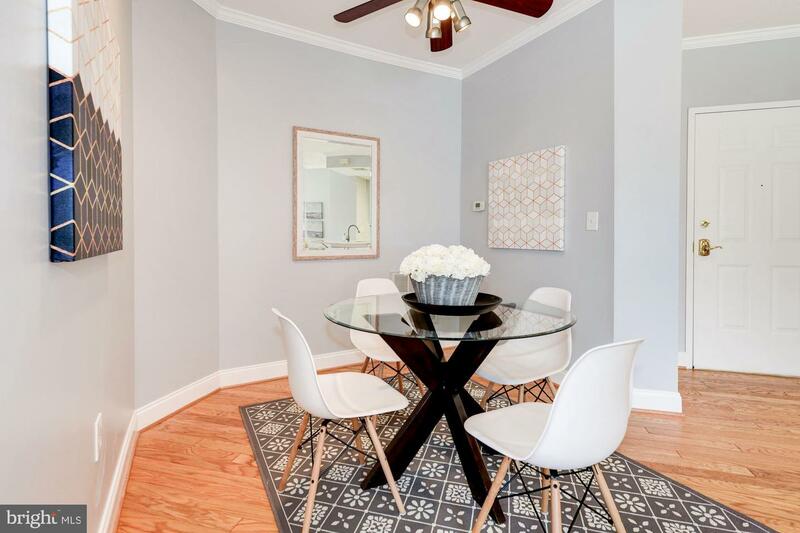 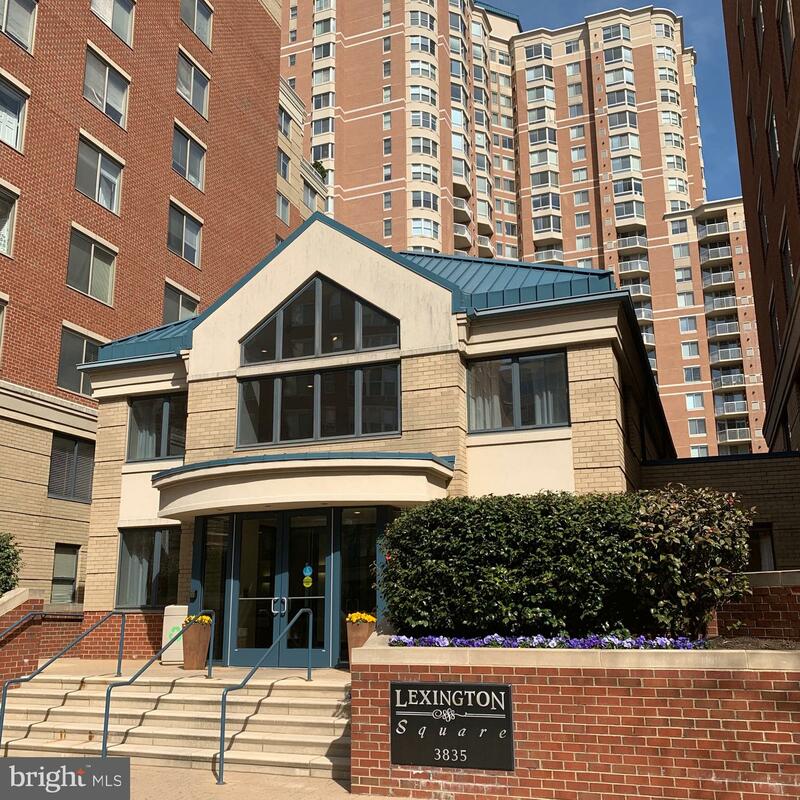 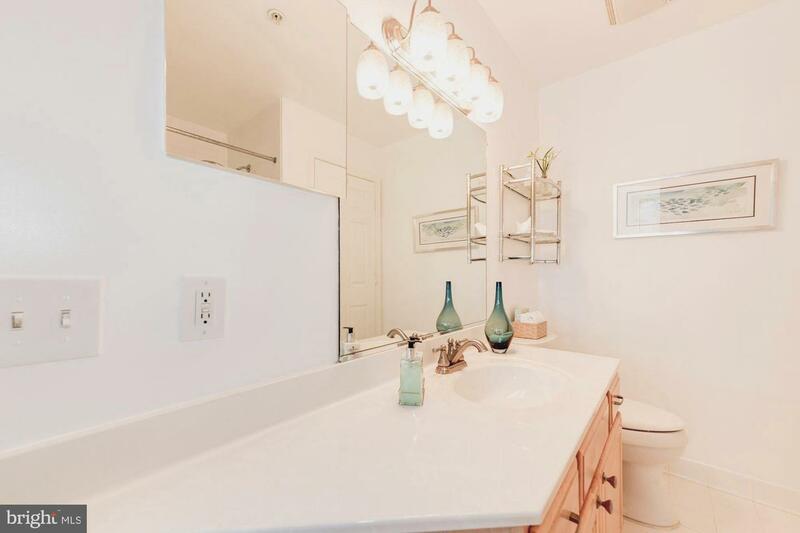 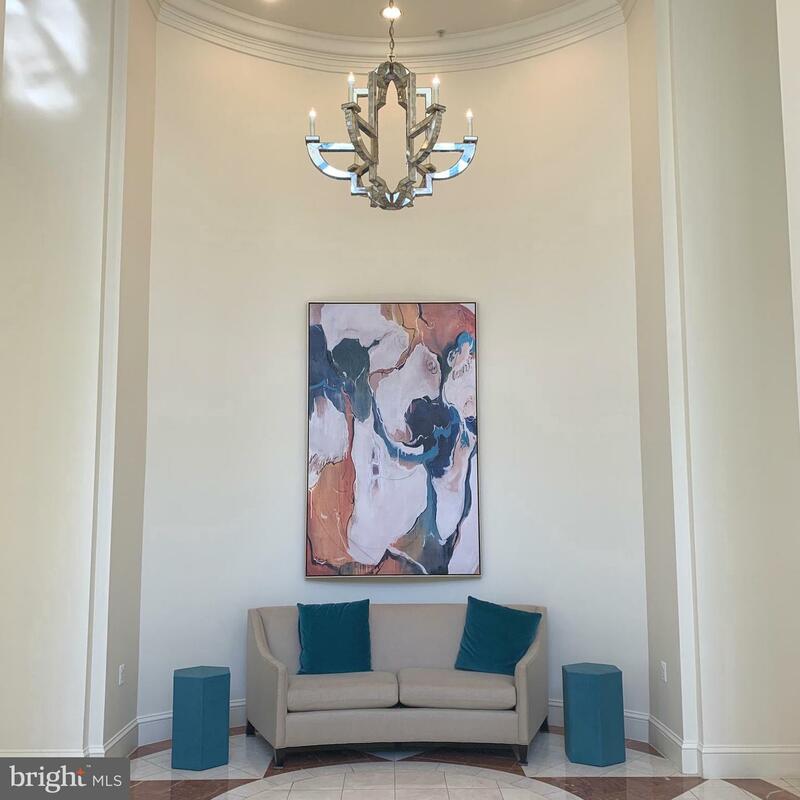 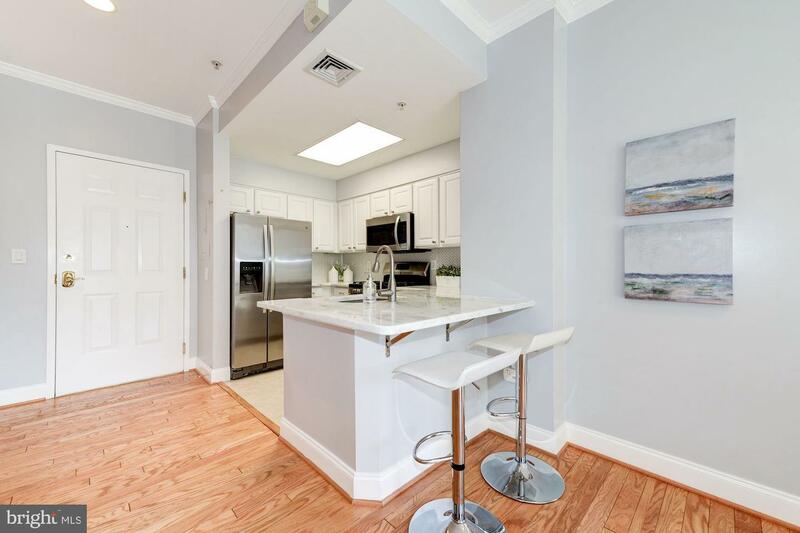 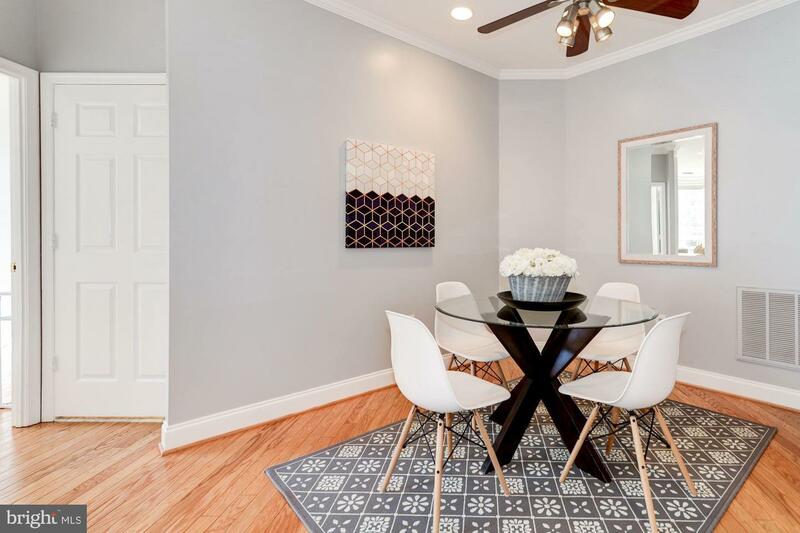 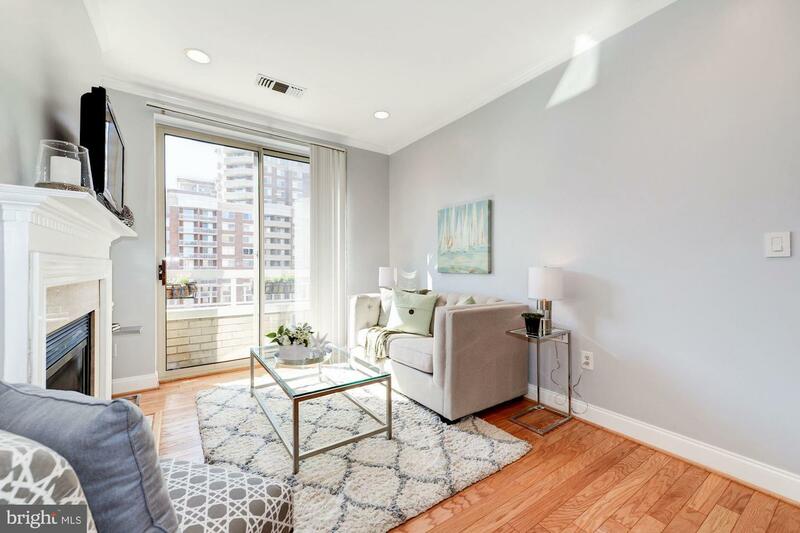 Located in the heart of Arlington between the Virginia Square and Ballston Metro stations, this rare 1 bedroom, 1.5 bath plus den penthouse floor plan is exclusive to the 11th floor. 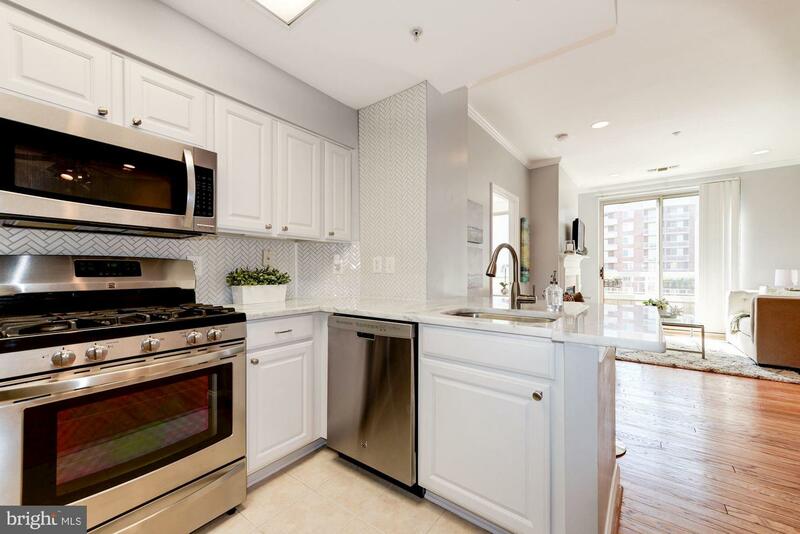 The open kitchen, dining and living room match the classic style of this luxury building. 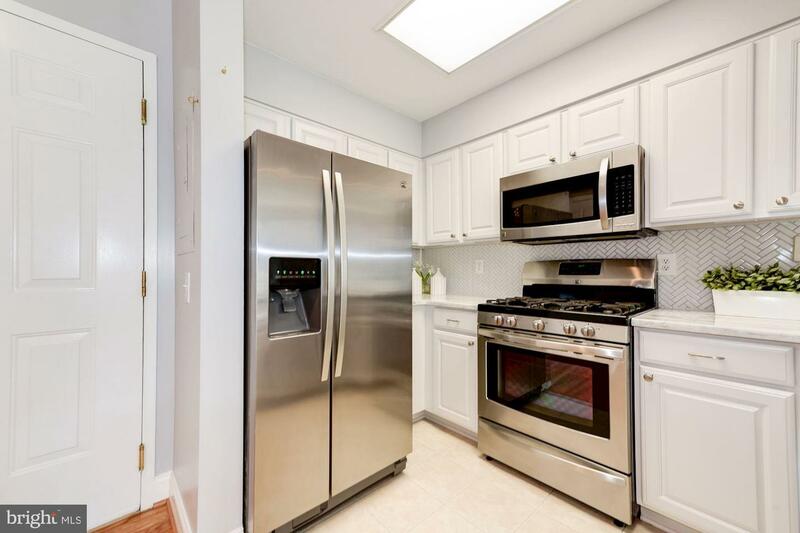 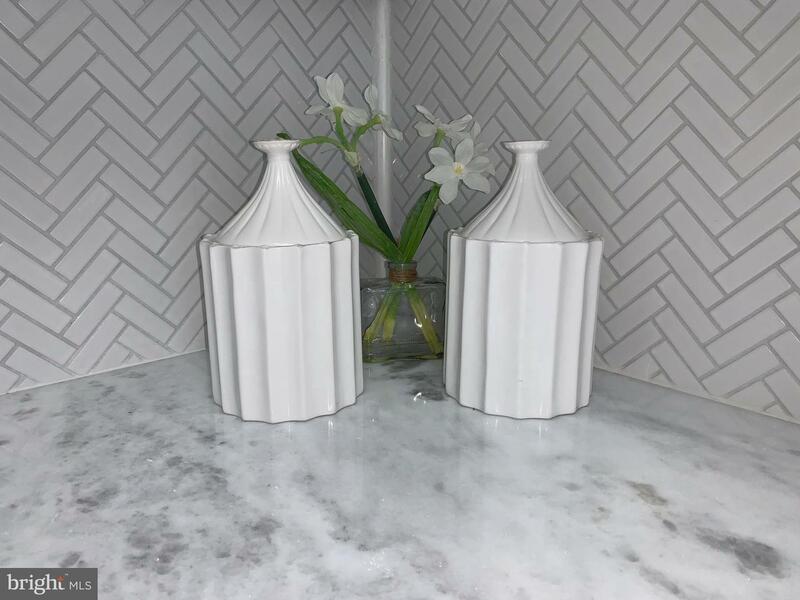 The recently remodeled kitchen features granite countertops, a stylish herringbone backsplash, and stainless steel appliances. 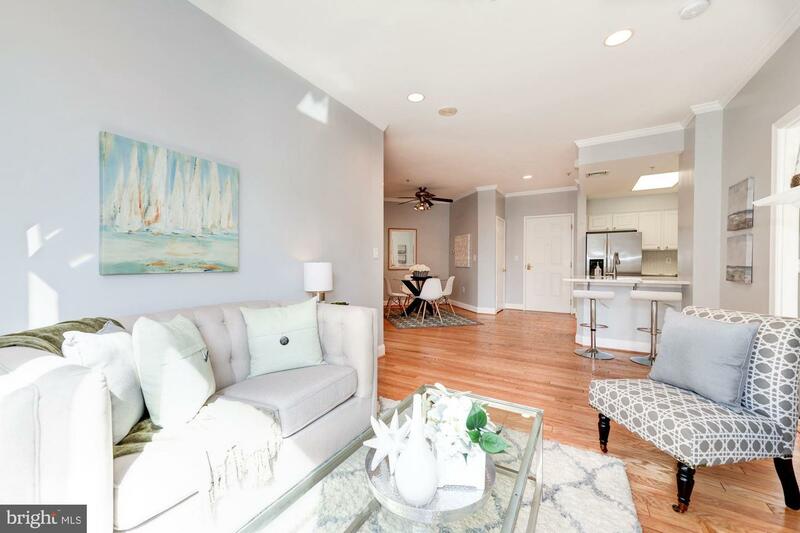 The hardwood floors in the light-filled main living area were refinished in 2018. 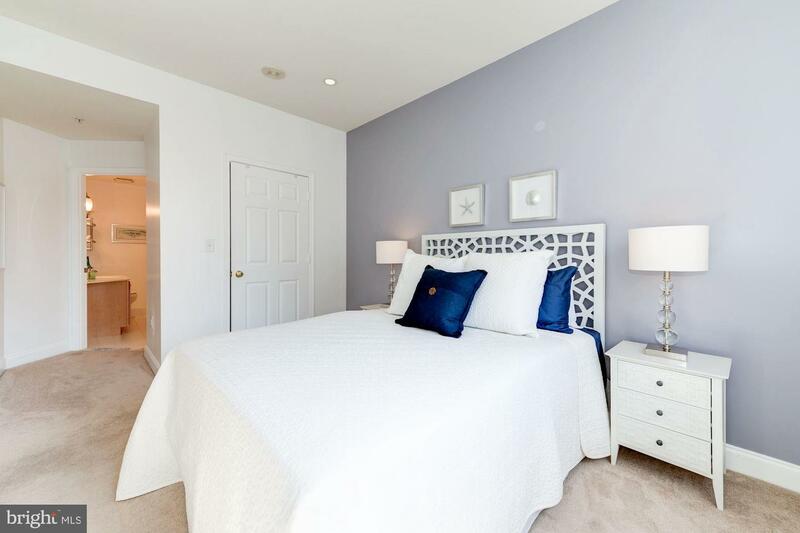 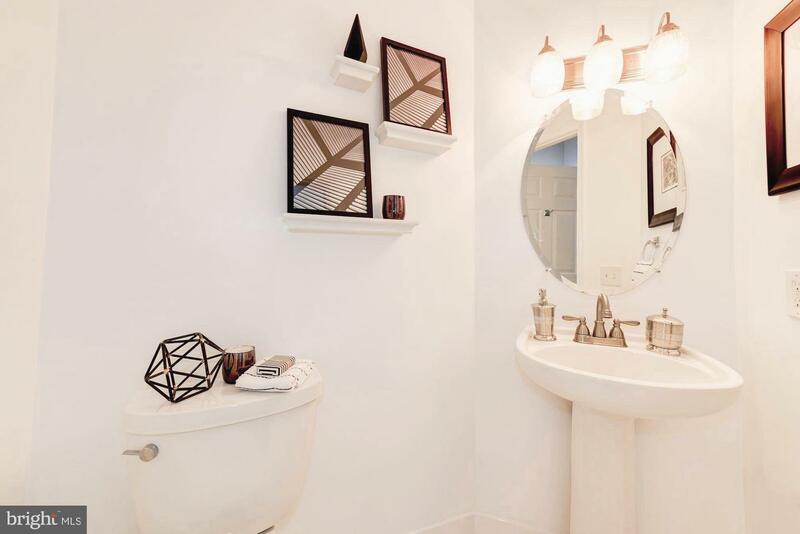 The spacious master bedroom includes an en suite bathroom with tub and a walk-in closet. 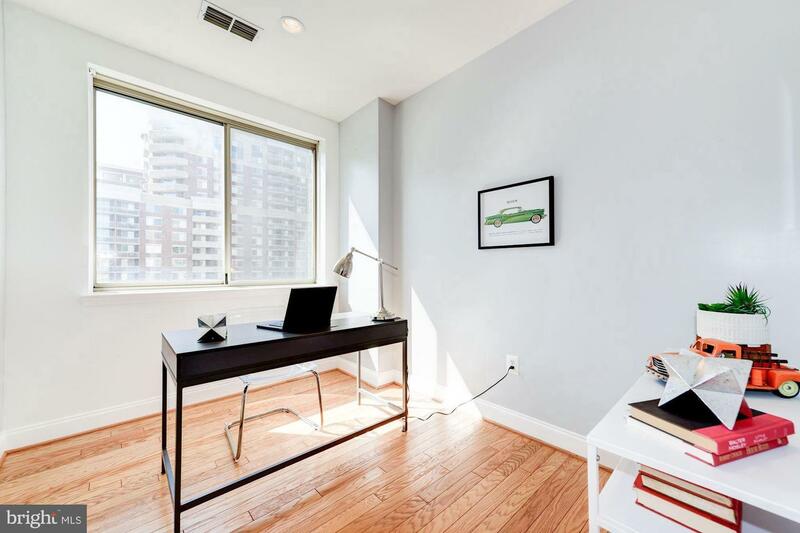 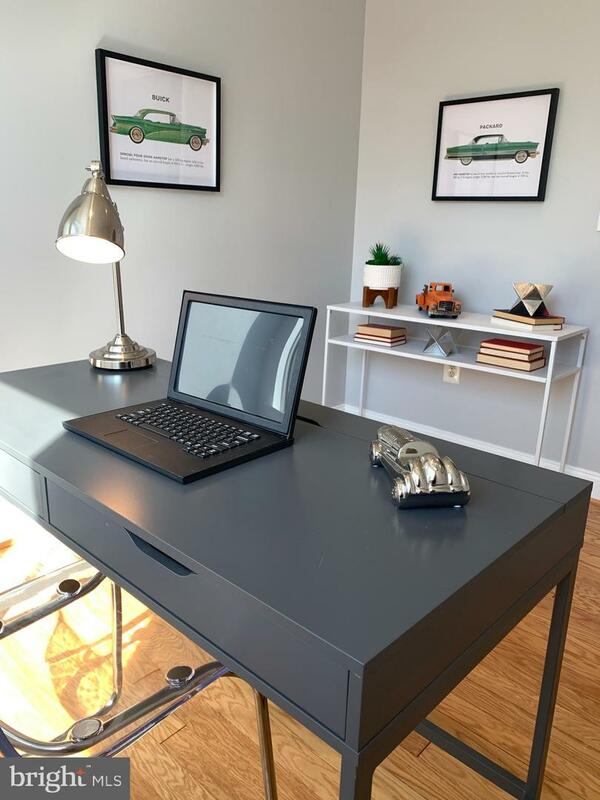 Use the den, with adjacent half bath, as a home office or a second bedroom. 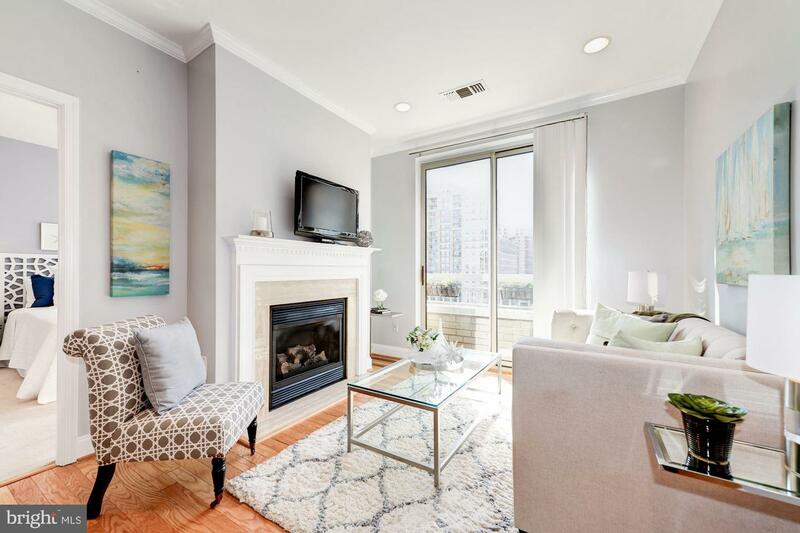 City views from the living room's sliding glass door and balcony, combined with the gas fireplace, add to the deluxe feel of this condo. 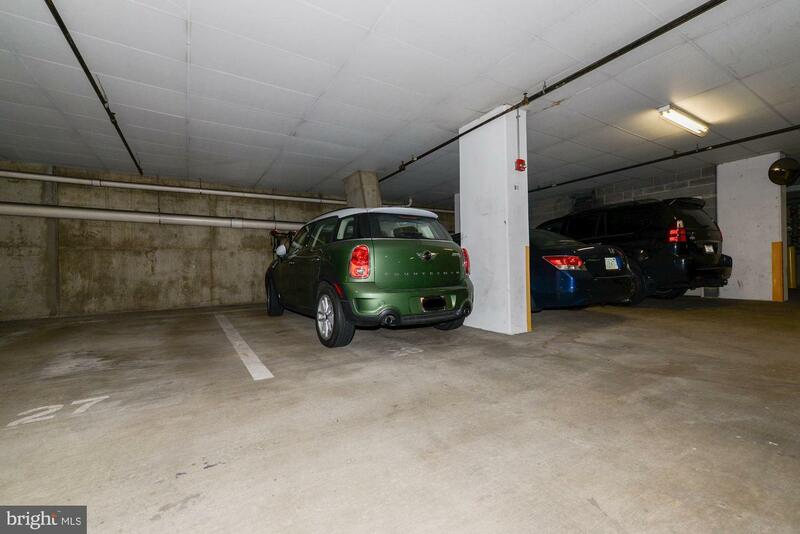 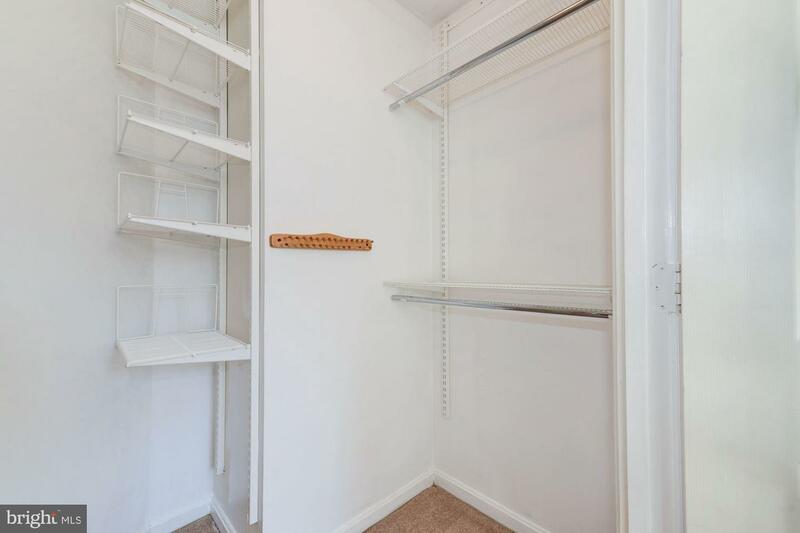 A garage parking space and large storage unit are included. 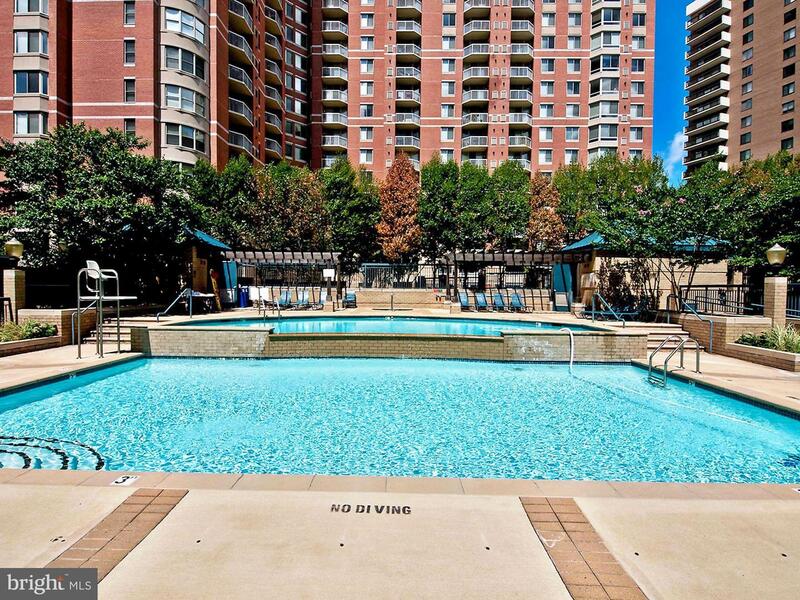 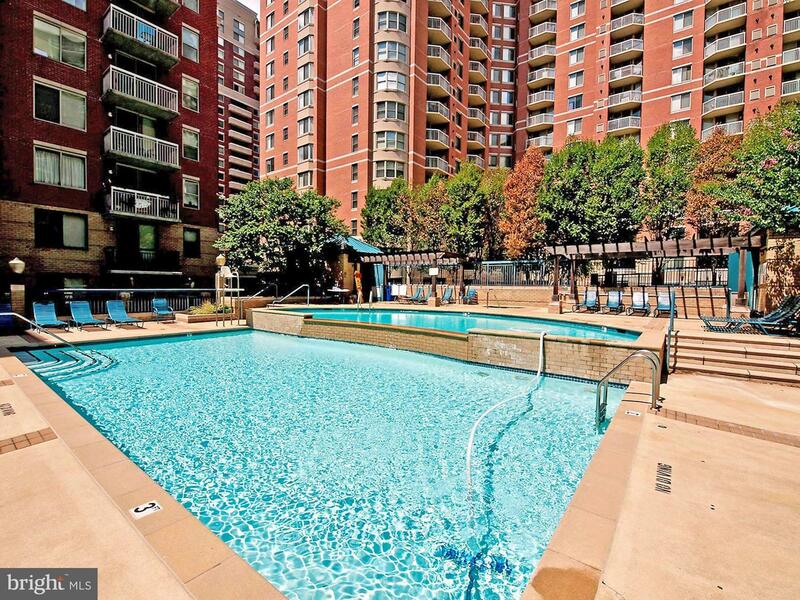 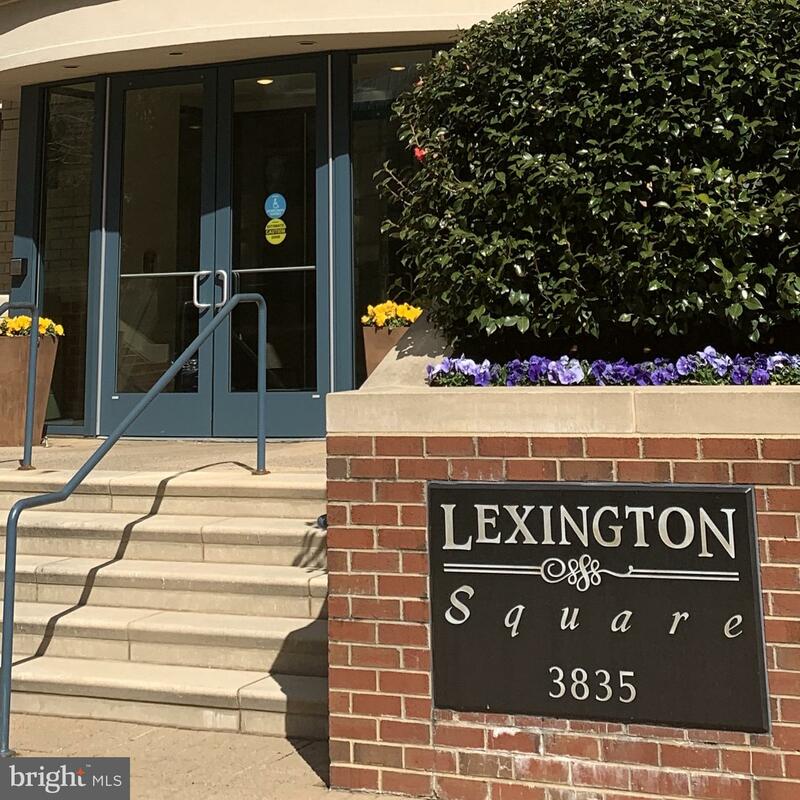 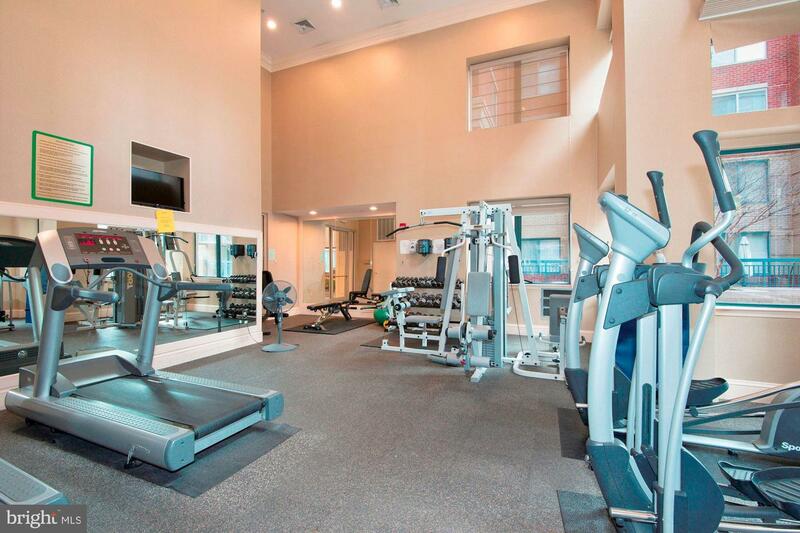 Lexington Square offers many amenities such as an outdoor pool and hot tub, fitness center, party room, courtyard with tables and gas grills, and convenience to Arlington's best shopping and dining. 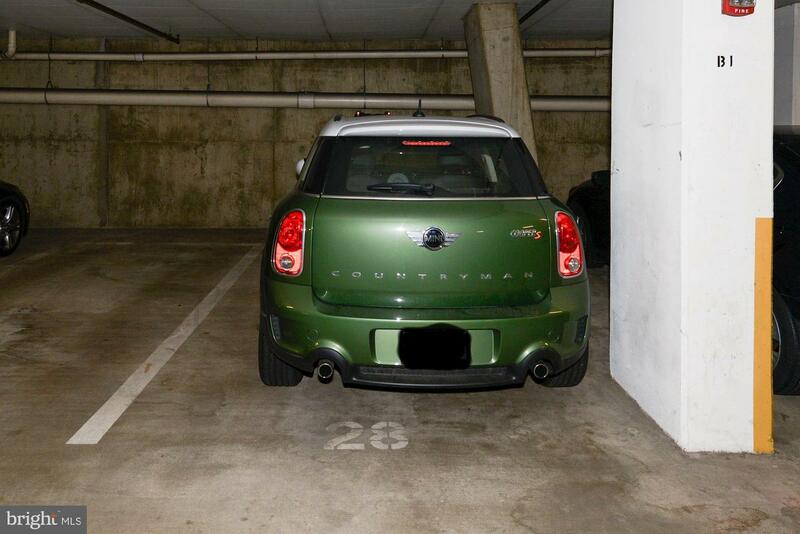 This will go fast!